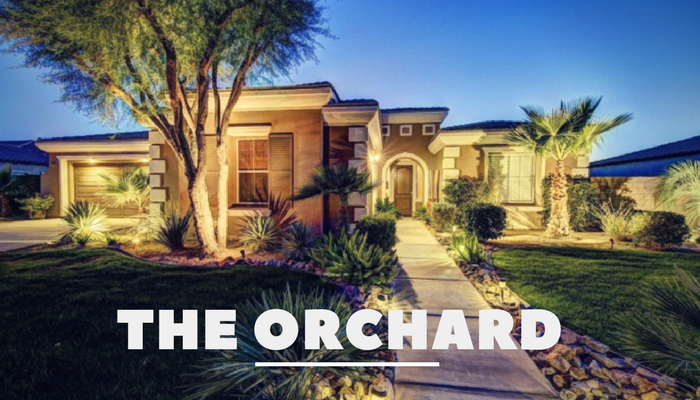 The Orchard is a gated community located in Indio California just south of the motorcoach country club off of Jefferson St., Avenue 48 and Avenue 49. This collection of about 100 homes is a quiet, gated, non-golf course community with low homeowners fees and homes starting at about $500,000. This resort community is close to a wide range of shops, markets, resorts, golf courses, polo fields and of course just minutes to the city of La Quinta. The names of streets in the Orchard reflect the general feel of the community as there are streets Named Plum Ln., Apple Court, Orchard Dr., Pierce Street, Apricot Lane and Pomegranate Street. As I said before, these are some of the lowest homeowners association fees in the area at just $150 per month. These fees cover all common area maintenance, landscaping and of course, the gated entrance. There are conditions, restrictions, and covenants to adhere to and there are different Association pet rules as well. About half the homes in the community come with a backyard swimming pool and/or spa but all have larger lots, layouts between 2530 500 ft.², and architectural designs between 3 to 5 bedrooms with three or four bathrooms. 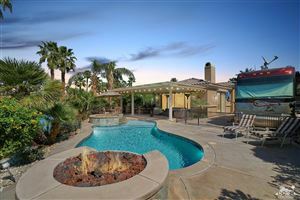 This desirable community is in a great school district and those with school-age children are served by the Mountain Vista elementary school, the Cahuilla Desert Academy Junior high and the Coachella Valley high school. Ready for The Orchard? Give me a call!